Come enjoy a great summer run along the beautiful Sumner Link Trail. Dress as your best Waldo! 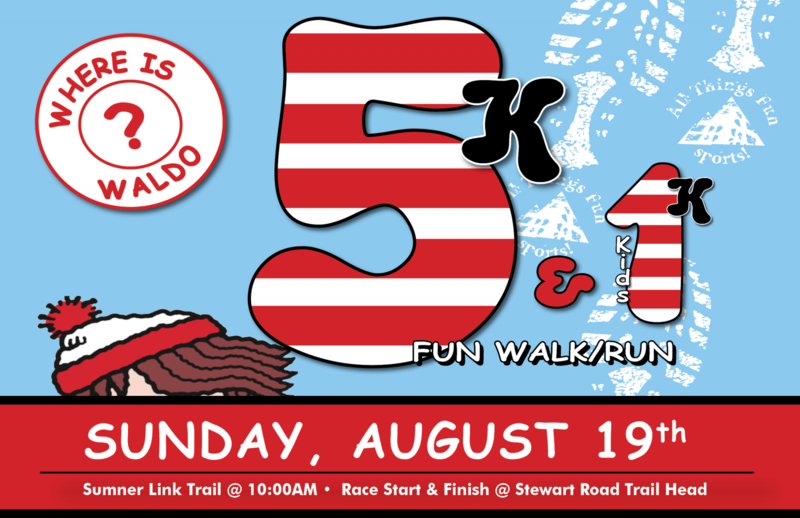 There will be prizes given out for the best Waldo. Portions of the proceeds will support the Puyallup Library Foundation. The Kids 1K is free for children 8 and under. Please register your child for the event with the free tab. This entry does not include a t-shirt or medal.